The topic of bringing rail transit to the Capital District is one that comes up regularly every few years. Certainly, there are a good number of well-intentioned advocates out there in the region who believe that to have a serious transit option, the Capital District must have rail. I don't -- at least, not yet. And here's why. First, I want to explain that this discussion will be split into two posts. I feel that the Capital Region discussion on rail transit has at times suffered from a lack of clarity about terms, goals, and purposes, so I want to keep my analysis as clear as possible. This, the first post, will focus on the potential for commuter rail -- or, more broadly, what is known in other countries as regional rail -- linking multiple urban centers within the region. The second will address light rail, a more intensive form of generally urban transit more akin to an enhanced bus service. The two modes have differing goals and infrastructural implications, and should be treated as separate policy discussions. I have been immersed in this topic for a while, having recently completed my master's paper on the topic (specifically on bringing international best practices to the US). Let's talk a little about what the term implies. + Commuter rail is extremely expensive to operate because of the inefficient focus on rush-hour operations and (usually) the need to provide multiple crew members on each train. + As a result of the immediately above, commuter rail tickets are extremely expensive. Even so, like bus systems such as our CDTA, commuter rail systems almost never cover operating expenses; the best recovery ratios in the US are around 80 percent of operating (not including capital) expenses, and the smaller systems tend to do much worse. + Generally, the high fares and 9-and-5 schedules mean that commuter rail is a niche service that generally appeals to higher-income people; riders typically have incomes higher than the American average, which is true of no other kind of transit. Capital Region readers will probably think of Metro-North when it comes to commuter rail, but most such systems are much smaller. 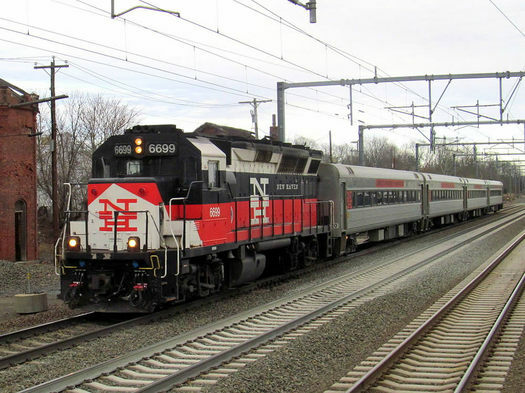 A good analogy to our local situation might be Connecticut's Shore Line East, which carries between 2,000 and 3,000 riders per day and recovered, as of 2013, just 7 percent of its costs. Past studies of commuter rail in the Capital District have largely focused on providing service between Saratoga County and Albany (though nothing has ever quite gotten off the ground). That makes sense; Saratoga County is the fastest-growing part of the region (and indeed, all of Upstate), while downtown Albany is in a class of its own as the region's dominant job center. 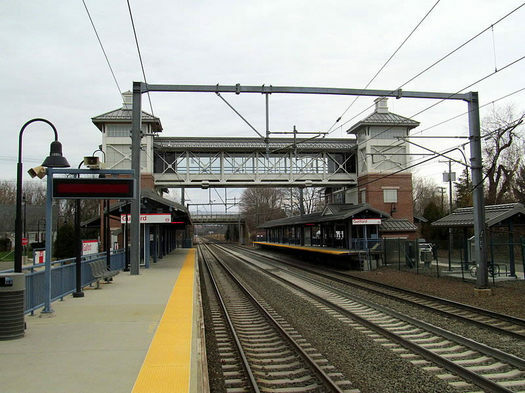 Given the need to stick to existing tracks, studies have generally considered two routes for commuter rail. Both originate in Saratoga Springs and travel south past Ballston Spa to a point near Ballston Lake. 1. Loopiness. Neither route is especially direct, especially when compared with the straight shot on the Northway. Both lines miss the growth centers of Saratoga County in Clifton Park and Malta, which have grown up around the Northway--a distinct inconvenience for most commuters. A slightly more direct right-of-way for the Mechanicville route existed until recently, but is now the Zim Smith Trail. 2. Bad station options. The sad truth is that most potential station locations along the line are located in poor locations, especially when it comes to foot access. The Delaware & Hudson relocated its mainline out of the downtowns of Saratoga Springs and Ballston Spa decades ago--probably a good thing for those towns, but it leaves the Saratoga station in particular very isolated. And I've written in the past about the disaster that was the choice to abandon Union Station in downtown Albany. 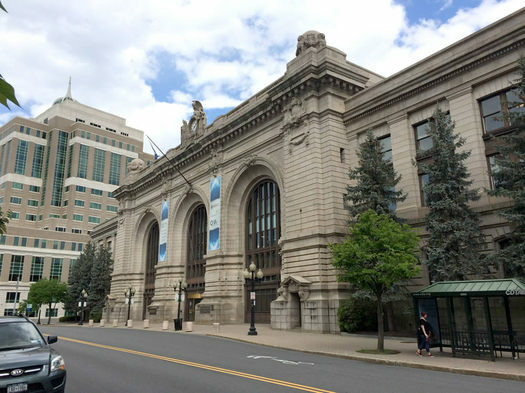 The lack of a viable terminal in downtown Albany might, more than any other physical factor, undermine the possibility of commuter rail service in the foreseeable future. Schenectady's station, whatever its woes, has far and away the region's best location. Commuting flows to the city of Albany, based on 2009-2013 5-Year American Community Survey estimates. 3. There just aren't that many commuters. AOA did a terrific job laying out commute patterns in the Capital Region last summer. From a glimpse at the map, it is apparent that Saratoga County commute patterns have grown along the Northway, rather than the railroad. A quick glimpse at Census LEHD data estimates that 900 people commute from Saratoga Springs to the city of Albany -- but only around 200 of them to the downtown core 12207 ZIP code. Only 175 people commute from Ballston Spa to Albany. That is, more or less, the capacity of one Metro-North train. 4. Complexity of negotiations with host railroads. 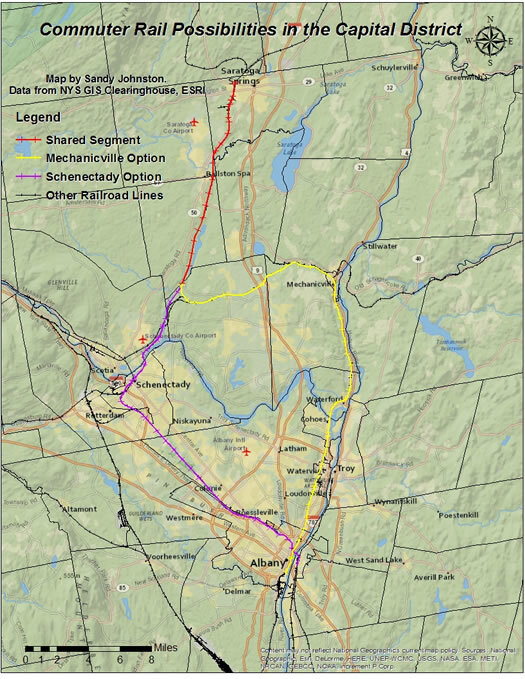 While the Mechanicville route would use Canadian Pacific tracks exclusively or almost so, the route via Schenectady would involve negotiations with no fewer than three railroads, all of whom would probably demand significant concessions that would raise the price of the project. 5. The other options aren't that scary. One of the realities of transit in the United States -- and particularly in a relatively low-density, spread-out area like the Capital District -- is that transit is a second choice for most people. That doesn't mean it can't compete or shouldn't be funded, but it does mean that capital-intensive projects like rail of any kind deserve special scrutiny. And let's face it: traveling by car in the region isn't that hard. There's very little recurring congestion. Parking in downtown Albany can be pricey, but state workers -- the largest segment of the workforce -- can pay less than half of market rate, depending on where they park. That doesn't mean rail will never work--it just means that there are less capital-intensive measures to take before investing in such a large undertaking. So commuter rail, it seems, doesn't really fit the needs or abilities of the region at this moment. In theory, something could be made to work, with enough money and investment -- but the limited number of potential users means that investment is likely not worth it. In the meantime, we can think about a) ways to improve intraregional transit service in mode-neutral ways and b) what to do to unlock the massive longterm potential of regional rail. A), at least, begins with developing CDTA's Northway Express service into something more comprehensive and useful. Turning NX into a two-way all-day service connecting Albany, the core of Clifton Park, and downtown Saratoga Springs would be far more useful for all kinds of trips than the current commute-focused service. 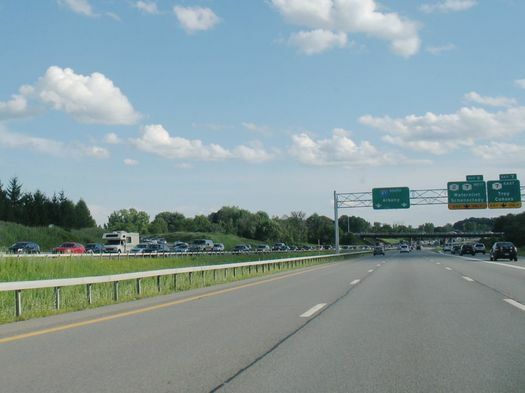 Many places have experimented with allowing buses on the shoulder of freeways to avoid congestion; perhaps the Capital District should as well in the rare places where congestion exists, such as the interchange between NY-7 and I-87. A local bus along Route 9, similar to the existing Route 50 from Schenectady to Saratoga Springs, would be relatively slow but would serve many areas that do not have decent service today--and that rail cannot serve. In the longer term, the major challenge to implementing a regional rail system might be finding an appropriate terminal in downtown Albany. One possibility would be to take advantage of the potential renovation of 787 and the South Mall Arterial; wouldn't a train station and bus terminal in the empty tunnel bores under the Empire State Plaza be lovely? This concern might be alleviated by implementation of tram-train technology, as some German cities have done; but that would require significant changes to regulations at the federal level, and no one should be holding their breath for that. Perhaps the most powerful justification for a large investment in regional rail, though, would be a fundamental change to the region's patterns of development. For many, rail infrastructure is a tool to create such changed patterns. But for now, the region faces a decades-long deficit of dense development, and what development has occurred (of any format) is concentrated well away from available rail infrastructure. If the desire is there, we can reshape the region in a way that will move toward supporting investment in regional rail. But we're not there yet, and we have work to do before we can get there. Stay tuned for Part 2, on the potential for light rail transit. Sandy Johnston recently finished his Master's in Regional Planning and a certificate in Urban Policy at UAlbany. He blogs at www.itineranturbanist.wordpress.com and is a vocal presence on Twitter @sandypsj. Before moving to Albany, Sandy had lived in New Jersey, Oregon, Iowa, Connecticut, Chicago, Jerusalem, and New York City. Sandy lives in Center Square/Hudson Park with his partner Gabriella, a state worker, and their two cats. You can reach Sandy with comments or complaints through his website. + What if tearing down I-787 could actually improve traffic? One word----hyperloop-----we could travel from downtown Troy to Schenectady in 1 minute.....we could then explore all of downtown Schenectady in 3 minutes and make it back to Troy in another minute to get an ice cream at Stewart's shoppe and explore all of Troy for 9 minutes.....all at a cost to the taxpayer of billions of dollars(please see sarcasm emoji)......rail works in Europe because there is something worth travelling to.....here not so much.....imagine spending a day in beautiful Clifton Park New York! Density is the problem. The region just is too spread out. As such, density is what all municipalities should be striving towards. I have met with CDTA (for work), and regional commuter rail was one of the topics we discussed. If it were to happen, they would not be limited to the current tracks, and they made a point to mention that there would be a good chuck on new tracks laid down, which would only be used for the commuter rail. They discussed how it would mainly go down the center of the Northway, from just North of Saratoga, with stops every few exits, and then continue to downtown Albany, with a spur heading over to Troy. Plan to have a leg headed to Schenectady are part of future options. It's something that is a very real possibility, especially as Capital Region roads become more congested, but we aren't quite there yet. I've never been a fan of light rail for the area but thought commuter rail might be feasible since it would reuse old right of way and tracks. Then I read Nate's comment about what CDTA people may actually have in mind - a highway-centric trip down the sometimes non-existent medians that may not even fit a train - and I no longer support any rail for the region. Commuter rollercoasters! Who's with me??? Thanks for this insight. I'm happy someone is researching this topic. It truly seems like one of the largest problems (forget $$$ for a second) is the acquisition of land and track to use. I don't have a good solution here. Personally, I think we might be wise to take a "if you build it, they will come" viewpoint. Light rail and to an extent commuter rail would provide a massive incentive for developers to increase densities in the areas that it serves. Underutilized small cities like Watervliet, Menands, Waterford, etc could see the massive revitalization that they crave. But really, I live near an old railroad station in Cohoes, and the oil tankers drive by all the time. I don't know how financially feasible it would be, but imagine how easy it would be to run a line just from Waterford down to Albany. It's dense all the way. Same with Schenectady to Albany. Forget Saratoga county. I saw on the news yesterday, the "straddle bus" idea being tested and developed in china. I've always wanted a way to visit troy from Albany and vice versa, via train or light rail. bus is simply not an option. it would be great to start along 787, then expand to I-90 and the northway. Schenectady, and Saratoga. I think the 1st shot should be from the Airport to downtown Albany and also from Albany to troy. If Disney can make a monorail, so can Albany! Kent, with a frequent bus line between Troy and Albany, how is it not an option? I do it all the time. Rail is not appropriate for this area and won't be for a very long time. And straddle buses are not appropriate for any area at any time. The horrible, parasitic suburbs are already over-served with highway infrastructure. Let 'em suffer on the Northway. I have the same question as JayK - why is the bus not an option? My teenage daughter takes #22 to work, and it comes every 10-20 minutes, depending on the time of day - a lot more often than our region could afford to run a commuter train. I just saw on the CDTA site that #22 is their 4th busiest route, with 1.2 million riders a year, so bus between Albany and Troy IS a viable option for a lot of people. One key that's often missed is zoning. Within walking distance of the stations, it should allow multistory, mixed use structures, with low minimum parking requirements. They should be doing this already with the BusPlus stops, but I haven't heard of any changes that have been passed. Why not parallel the Zim Smith trail with a light rail line over the old ROW? This would be a straight shot from Saratoga Springs (probably need new station south of the city) to Round Lake and over to Mechanicville. All it would need is to relay the track from south of Ballston Spa to M-ville.